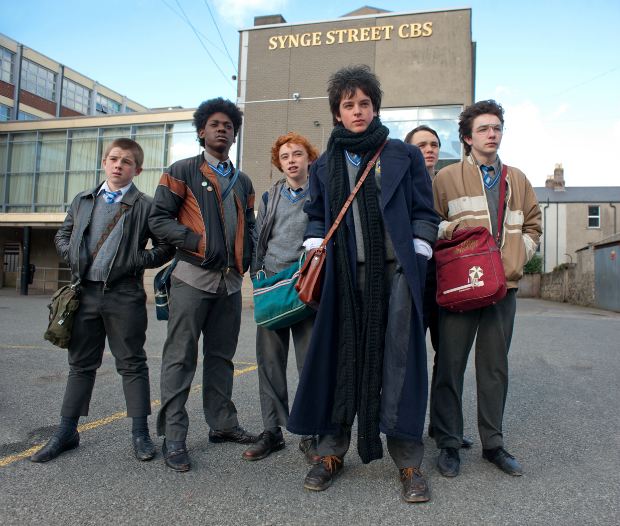 Sing Street is the best coming of age movie out of the last, I don’t know how many years, with a 1980’s soundtrack to knock your socks off. 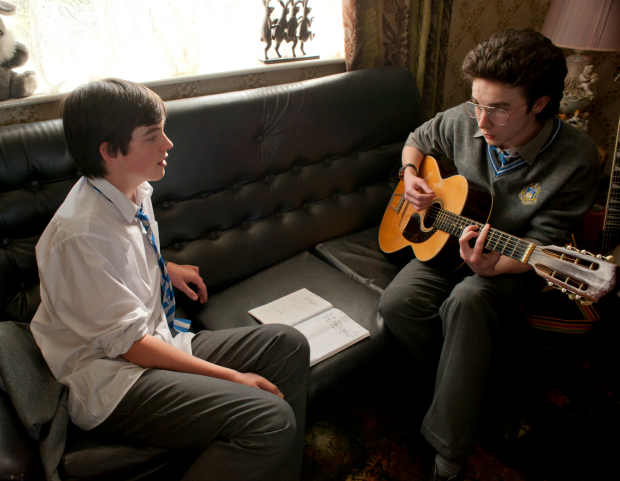 From writer/director John Carney’s (ONCE, BEGIN AGAIN) the movie is filled Duran Duran, a-Ha, The Cure, plus a huge helping of the fictional newbie Irish teen band, Sing Street. Let’s discuss. I’m maybe one of the biggest U2 fans on the planet, so Sing Street, the sweet, touching, funny story of a bunch of teenagers set in the mid-1980’s in Dublin discovering their musical talent together felt like a delightful U2 biography. I mean that in the best way possible. The pack of musical prodigies is led by Conor, a soulful 14-year-old struggling with a transfer to a rough new Catholic school and a houseful of screaming parents, on a mission to form a band to impress the foxy, sophisticated wanna be model, Raphina. In the process, Conor finds a handful of wicked talented friends and an escape, both from his current surroundings and a dead end future in tenement Dublin housing. The story is genuinely sweet, and watching the band’s sound and personality evolve as they move through their newfound idols from the vast musical library of Conor’s brother, completely delightful. I loved every minute and can’t wait to download the soundtrack. Today is your lucky day, because I’m giving away a copy of the newly released (just today!) Sing Street DVD, and an $50 iTunes gift card. Check out the details of the giveaway, and be sure watch the trailer below. To enter, leave a comment with your favorite album of all time! Entries will be open until midnight on Tuesday, August 2nd, 2016. One entry per person, please. This contest is now closed and a winner has been notified. THANK YOU for entering! Open to US mailing addresses only. Prizing courtesy of Anchor Bay Entertainment. Now on Digital HD, Blu-ray™, DVD & On Demand. 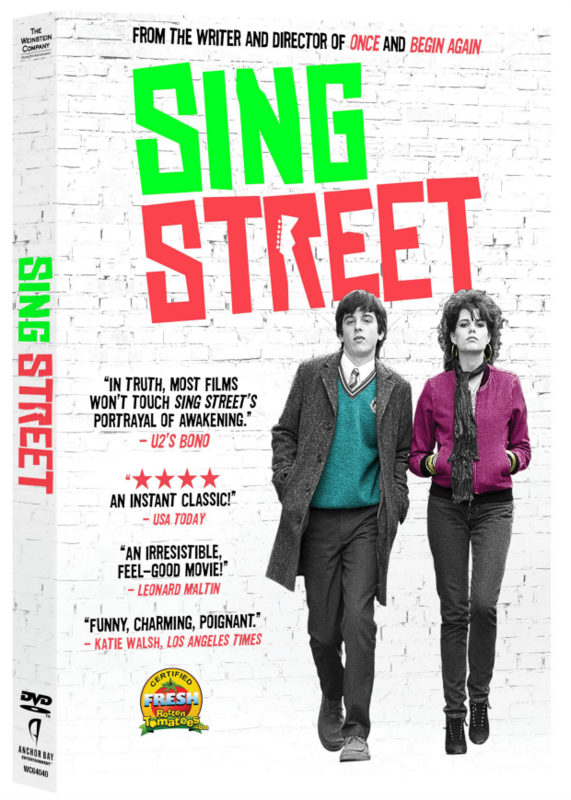 Check out how to buy your own copy of Sing Street right here. Like on Facebook + Follow @SingStreetMovie on Twitter + Instagram #SingStreetDVD + watch the trailer here. Rated PG-13. I hope you’ll love Sing Street as much as I do. Good luck with the giveaway! Do we just leave a comment to enter the giveaway? This looks like something I would really enjoy! I love movies and shows that are based around music. My favorite album of all time is Purple Rain. I’d have to go with either Pet Sounds or Ok Computer. Don’t make me choose! My favorite album is The Wall from Pink Floyd. My fav album would be, Johnny Vicious ‎– New York In The Mix. I like U2’s The Joshua Tree. My favorite album is Working Class Dog by Rick Springfield. I think my favorite of all time is The Sundays, Reading Writing and Arithmetic, but there are a few David Bowie and U2 albums fighting for that honor. I have always liked Celine Dion, all her CDs but I especially like A Decade of Song. I feel in love with this movie when I saw it a few months ago! My favorite album of all time has to be Whitney Houston’s “whitney”. So good. My favorite is Blurry Face. I like the album The Miseducation of Lauryn hill.